Rathurtin is a cross country machine. He is bold and brave and just loves to jump. He is also a beautiful mover with an extremely impressive trot. He is a Training Level packer — having completed several training events and always in the ribbons. He is well balanced, has an easily adjustable stride and a wonderful uphill build that gives the XC rider confidence approaching jumps. 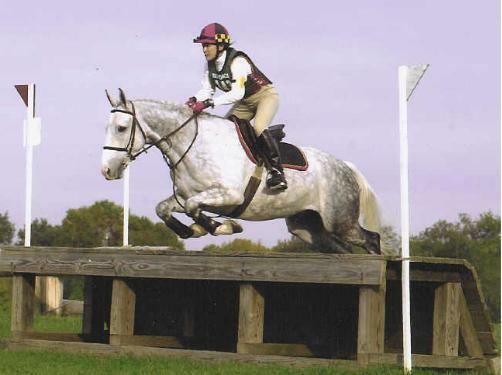 Rathurtin with make any amateur eventer very competitive.